In cities all across North America crowds are gathering to show their support of the Standing Rock Sioux Tribe. The list of protests that have occurred is insurmountable to compile. Just this week demonstrations within Canada have occurred in Hamilton Ontario and Halifax, Nova Scotia. NoDAPL protesters initially engaged in forming human blockades at the site of construction for the pipelines. 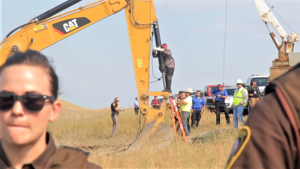 They have set up camps alongside the Cannonball and Missouri River, blocking the movements of law enforcement officers and Energy Transfers personnel. Protesters also formed blockades of logs and hay bales, and burned tires to prevent armed officers and the National Guard from encroaching on their land. 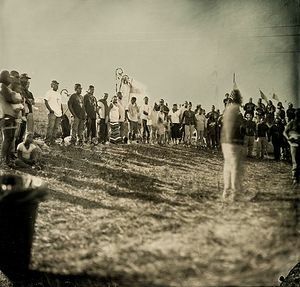 American Indian tribes across the country have engaged in rallies, building power and momentum in their cities to incite opposition of the pipeline.